Ubisoft’s historical sci-fi epic, Assassin’s Creed, is set to release another installment in the now 8 year long franchise, Assassin’s Creed: Syndicate. This time players are thrust into 1868 Victorian era London, and features two new assassin protagonists, twins Jacob and Evie Frye. In the latest installment of the Assassins creed franchise players will be thrust to the days during first European Industrial Revolution. At its debut Assassin’s Creed sold itself as the thinking mans action game, filled with not to distant futuristic technologies, quasi religious war between, what basically comes out to be the Illuminati, and freedom fighters. Waging a war over the literal free will of all Mankind. This franchise has changed the way characters move in video games, pulling from the real life acrobatics of Parkour, a system of movement designed for the urban arena originating in France, it has gone on to inspire movies, TV, and especially the way we play video games. 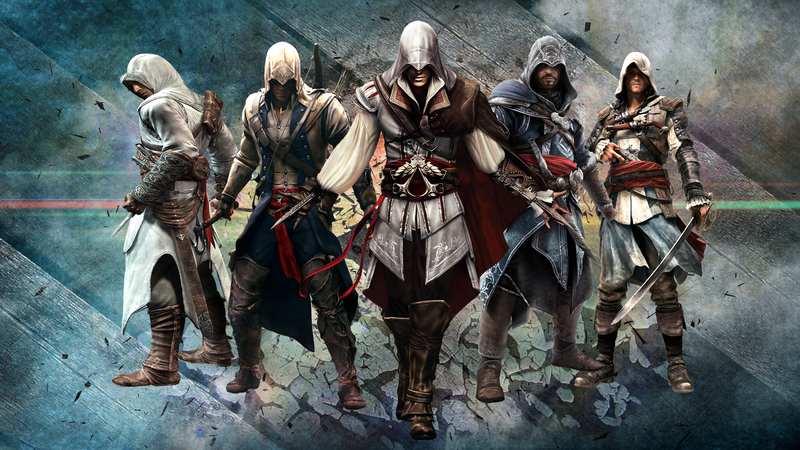 From Prototype, to Shadow of Mordor, Assassin’s Creed has done a lot in the way of innovation, to movement and even combat in the gaming world. While many will go on to talk about the complex (and at times convoluted) story, the innovative ( if stiff), combat system, and the overall beauty of later games, I want to talk about the failings of production itself and the impact it has on the story. In the beginning there was a race of beings, powerful, tall, and above all intelligent. Employing technology that not only eclipse our own, they also created Homo Sapiens. Humanity was created to be obedient servants to the First Civilization, created to survive even under the harshest of conditions. Humanity’s entire purpose was to build up their civilization to even higher levels. In order to assure the control of humanity, various technologies were created by the ancient but advanced race, named Pieces of Eden by humankind. These pieces tapped into a network of neuro-transmitters located deep within the human brain, ensuring total obedience through remote mind control. However, there were some humans born without the neuro-transmitters, hypothesized to be hybrids of the First Civilization and humans, consequently making them immune to the Pieces’ control. These people would go on to become the Assassin’s Brotherhood, and the Knights of the Templar. After waging war for the freedom of Humanity and driving them back, Mankind and the first civilization was undone by a very powerful solar flare, which brought the technology of that time tumbling into the dust. Fast forward several millennia later, the small population of Mankind that either had an oral tradition passed down through the families, or subsequently found a piece of Eden and used its power, would discover themselves in a web of subterfuge and deception. A secret war waged on in the shadows. I have been and avid fan/follower of the Assassin’s Creed franchise, since day one. 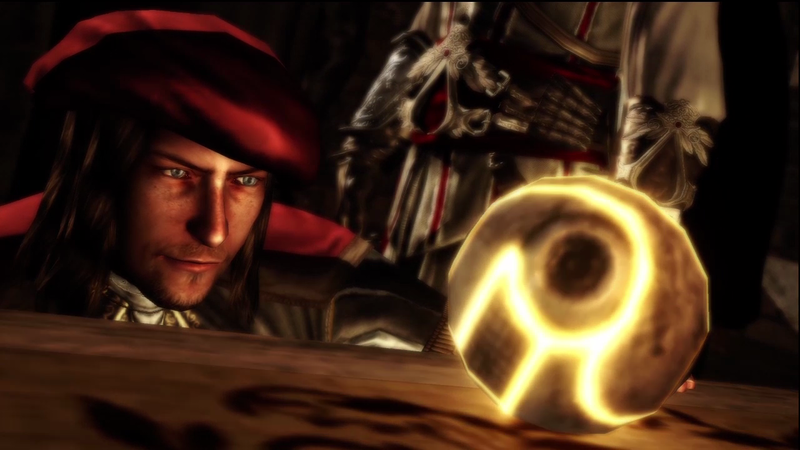 Altaïr Ibn-La’Ahad drew me into the world, and Ezio Auditore da Firenze made me fall in love with it. But something happened between AC 2 and AC3, three games came out under the umbrella of Assassin’s Creed: AC2: Discovery, AC: Brotherhood, and AC: Revelations. These games, while adding a good bit of lore to the franchise, ONLY did that. And for three games to come out that simply added lore to an already packed world, is not justifiable. Had these games been one long saga, I would be extremely excited about that, unfortunately, it wasn’t. But, and a huge side-note. We have YouTube, and while I didn’t get the games (I am not shelling out 60 bucks for Lore (unless it’s Game of Thrones)), I did get to watch the cut-scenes and loved the story. In a media driven world, where The Avengers get together and make 1 Billion Dollars — nearly in the same day and you have giant money making machines, where you can literally pump out the same game with a new skin, a couple of “new” toys and some zombies (Yes I am talking to you Call of Duty), it is hard to stand out. And I get it, you’re a business, at the end of the day people need to make money to pay bills and feed their kids and etc. I get it. You’re not just a business, you are part of a community that loves, cherishes, and looks forward to the next chapter in stories that you, the game developers, get to make come alive for us. Yes the Call of Duty franchise is one of the highest selling video game franchises of all time… but they have no soul any more. The reason why Call of Duty is brought up so much is because Ubisoft has adopted the same business model: Yearly installments. A business model that, while successful in the short term, proves deadly in the long term. The original Assassin’s Creed suffered from glitch filled and patch-worked backgrounds, a main protagonist that seemed to drift through the story never really connecting to anything, a secondary protagonist: Desmond Miles, suffered the same fate. Yet for all its faults (and there were many), the diamond in the rough still shone through. In Assassin’s Creed 2, everything was improved to such a level IGN gave it a 9.5, an improvement from the 7.5 the initial title got. Since then AC has pushed out nearly a game a year, and while you can do that to FPS’s , anyone who has ever tried to write for a living will tell you: You can’t rush art. And that is the crux of the issue with the AC universe, everything feels rushed. 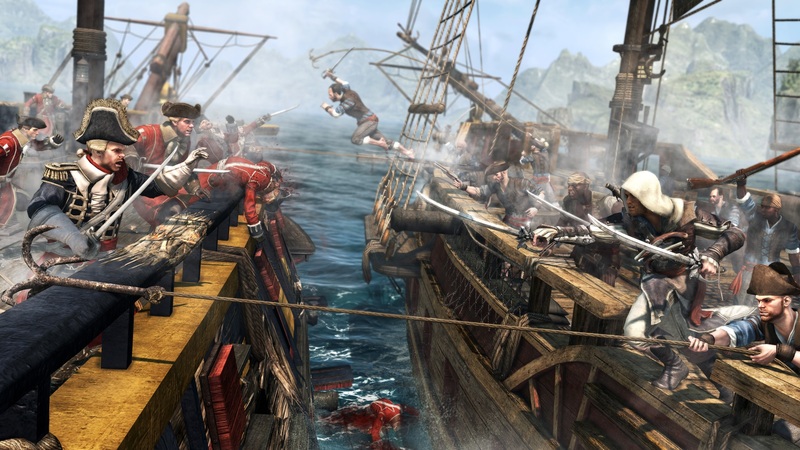 From the disappointment that was AC3, to even the (admittedly), fun time you had in AC4: Black Flag. Unity was supposed to be a fresh new start in the newest generation of consoles, yet it didn’t have the splash that Ubisoft was hoping for. I submit to you the reader, and Ubisoft: (if they are reading this) Take your time with Assassin’s Creed. I would rather miss you for 2 years and be blown away by the majesty, and sheer awesomeness of a tight, strong, and sweeping epic, then annoyed at a passable game. And that is what Syndicate will be, a passable game. And that shouldn’t be! In the beginning of the game franchise you promised us a whole world, past and present, that is deeply entrenched in a shadow war, that these pieces of Eden were so important. Even though Desmond Miles was boring and very ‘Keanu Reeves’ through the whole game, we could overlook that in favor of the fact that we are assassin’s! We get to stalk our prey and destroy those who wished to take away the free will of all mankind. Instead you gave us a lackluster 3 “Main Games” and nearly 20 games that feel like they are still trying to find there voice… Well Ubisoft, you already had a voice but you lost it when you started to try to push out a story like you can a car, you are creating art, not a machine, not formulas, music! Not money! That’s what I feel about the franchise now, that it is only a money grab, I wish, I wish you went back to your voice, in fact you will hear from me again, I got some more to say to you. Prove me wrong, I would love to be wrong, that you just biding your time weaving an even more impressive story… until then I will remain skeptical at best. Thanks for reading! CCU wants to hear from you.